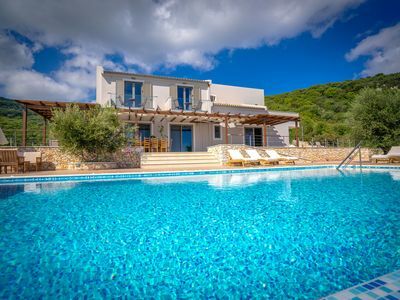 A stunning new two floored villa built in gorgeous local stone, just a short walk from the sandy beach and restaurants. 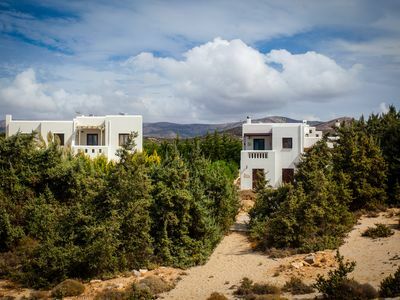 This villa is an absolute gem, tucked away in a large garden backed by mountains but so close to the resort of Alykes which offers all the facilities for a great holiday. 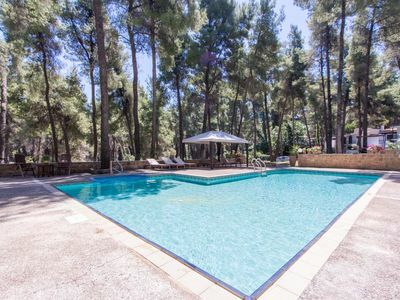 The lovely pool is surrounded by a lawn (enjoy a game of ping pong) and a fabulous barbecue and al fresco dining terrace that will tempt you to try out your grilling skills. 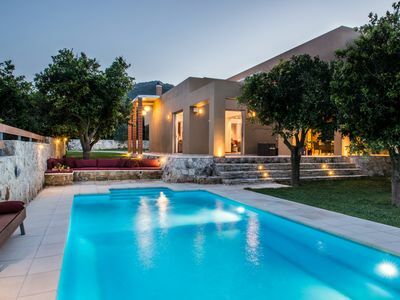 The villa's interior offers cool, solid stone walls and stylish modern design, very spacious living areas all leading out to the shaded terrace and garden. 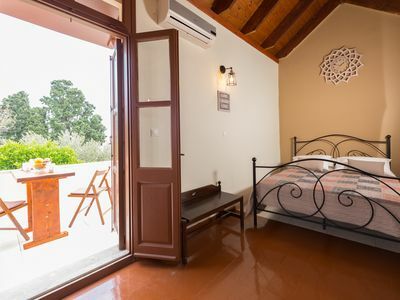 The upper floor (this area is divided into two with two interior staircases so is absolutely ideal for two friendly families travelling together) has both sides offering two very comfortable bedrooms and bathroom. The long, sea facing, covered balcony from where you can enjoy views across to the coastline and resort, is communal. 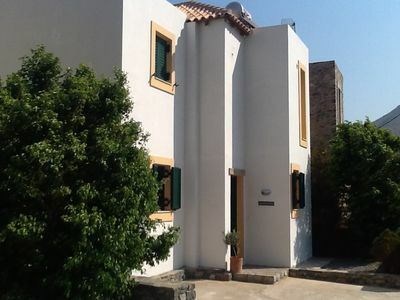 This attractive stone villa offers a level of modernity that truly stands out in Greece. 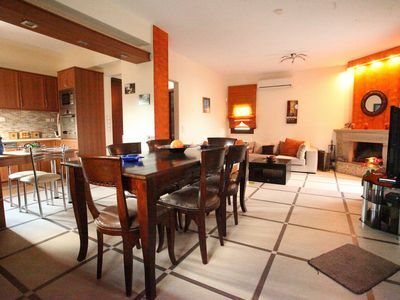 This villa, in Chartata, boasts a gorgeous sea view sleeping 8 people. 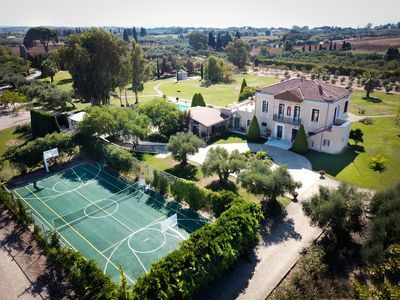 The villa offers superb accommodation, including modern luxuries such as a swimming pool, television, internet access, table tennis, air conditioning, DVD player, covered terrace and an open terrace. 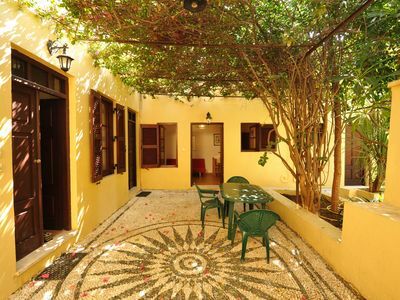 You can bask under the Greek sun in the villa’s beautiful covered terrace, open terrace and garden, making use of its barbecue. 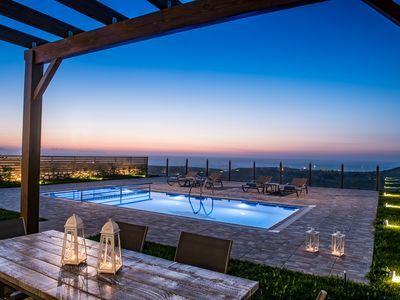 You can stroll down to the nearest beach in this Greek villa, which is 400 kms away. 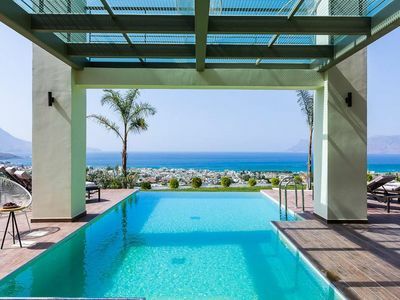 New villa with spectacular views! 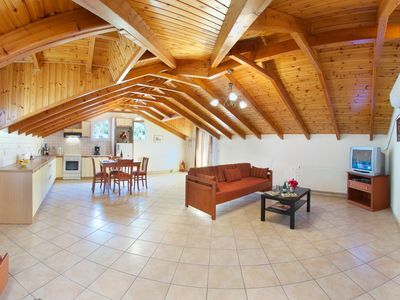 Ideal for children, wheelchair accessible. 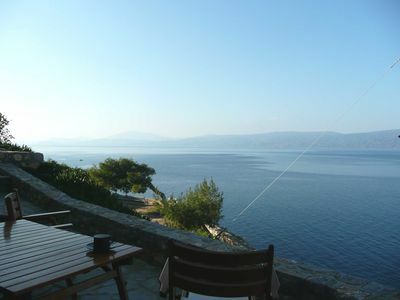 Luxurious villa,private swimming pool,amazing sea views,100 km hiking paths.